They may be the sexiest, must-have items on any cool consumer’s shopping list but smartphones don’t currently achieve as much brand loyalty as people might expect. New multi-market research by Gfk found that 56 per cent of respondents were hedging their bets and had not yet decided what they would buy when they next upgraded their phones. Only 25 per cent of the total sample said they’d stick with their current device. 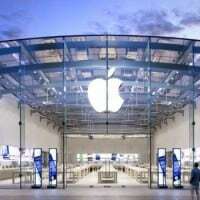 However Apple's iPhone showed it is still the top brand in this field with 59 per cent of its owners planning to buy another one, way ahead of Research in Motion’s Blackberry, which hit 35 per cent, and Google Android phones, which managed 28 per cent. Nokia’s new Symbian phone scored 24 per cent but Microsoft’s Windows Phone 7 was down at 21 per cent, among the 2,653 users across Brazil, China, Germany, Spain, the UK and the US. According to Gfk, buying decisions may depend far more on the apps and other high end user experiences available on different devices rather than the phones themselves, now that so many features, such as web access, geo-location and high-res cameras, are now pretty much standardised. So there’s plenty to play for among the smartphone brands, especially as sales rose by 96 per cent to 80 million during the third quarter of 2010. Marketing will become even more important, as recognised by Nokia, which has recently appointed its first ever chief marketing officer.